Add Amazon Pay to your WooCommerce WordPress plugin and let millions of Amazon customers shop on your website. Install the WooCommerce plug-in on your site and test using Sandbox Mode to make a purchase without actually processing a payment. With the Amazon Pay plugin for WooCommerce, millions of Amazon customers can pay on your website or mobile site with the information already stored in their Amazon account. It's fast, easy and secure, and helps you add new customers, increase sales, and reduce fraud costs. Leverage the trust of Amazon to grow your business. The Amazon Pay plugin is free and easy to install. Not to mention, it's a seamless experience for your customers: All interactions take place in in-line widgets so customers never leave your site. Customers simply login using their Amazon account, select a shipping address and payment method, and then confirm their order. "The biggest surprise was how quickly Amazon Pay was adopted — it took over the lion’s share of my payments within the first week. People are just comfortable with Amazon." "Amazon Pay reduces the friction at checkout. The most important thing for us is the service that we provide our customers." 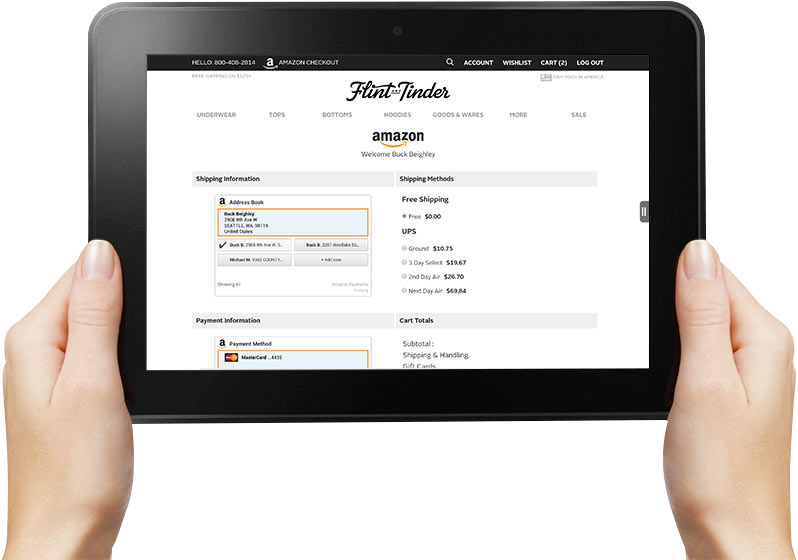 "Customers like the ease and familiarity with Amazon. Amazon is something they already know; something they are comfortable with. They already know their login and password — they simply type their credentials in, and place their order; no card numbers to punch in, extra security codes, addresses; everything is already there in their Amazon account and brought right over." Built for businesses large and small, Amazon Pay for OpenCart is an easy-to-install and robust solution. Don’t lose customers by redirecting them to a third-party website to pay. Allow customers to pay quickly, easily and securely in-line with your existing checkout experience.